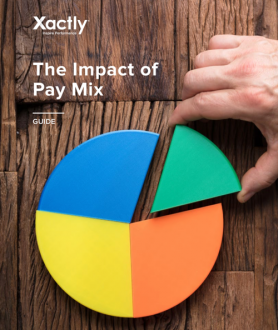 There are many reasons for using external pay data. These include creating or validating a grade structure or set of pay ranges, checking out the external market before recruiting into a new position, developing a new bonus scheme or responding to recruitment or retention problems. Whatever the reason, if it has fallen to you to provide the external pay data, how do you find good data? How do you know if the data is reliable? And how do you turn raw data into meaningful analyses? E-reward's toolkit helps you understand the methods of obtaining, interpreting and using market rate data as a basis for market pricing decisions. The translation of salary market data into competitive pay levels for individuals, or into an acceptable company pay structure, is a process based on judgement and compromise. The aim is to extract a derived market rate based on informed and effective estimates of the reliability of data. It means striking a reasonable balance between the competing merits of the different sources used. To a large extent this is an intuitive process. The judgements will be more accurate if they are based on the systematic analysis of valid and reliable data gained from published surveys or surveys conducted by the organisation. This can be achieved by understanding what types of data can be collected, the possible sources of the data, and the methods of presenting and analysing them. process of market rate analysis. A general introduction in which market rate analysis is defined and its aims and features described (section 2). An analysis of the advantages and disadvantages of the main types of published market data sources (section 3). A checklist to help you evaluate the validity and reliability of salary surveys (section 4). A systematic six-step process for analysing, interpreting and presenting market data (section 5). A glossary of terms used in market rate analysis (section 6) and a brief listing of sources of further information (section 7).